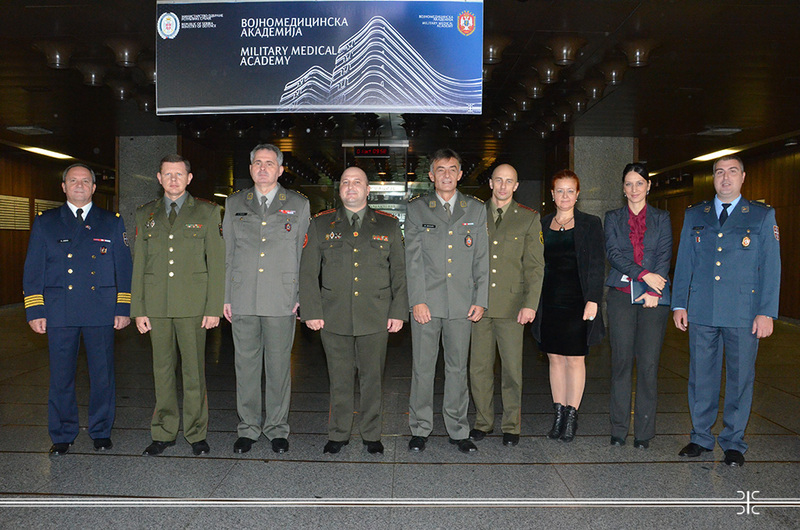 The Delegation of the Belarus representatives of the Military Medical Services, headed by the Head of the Military Medical Services Department Colonel Aleksej Stanislavovic paid the visit to the Military Healthcare Department of the Ministry of Defence of the Republic of Serbia and also the Military Medical Academy. The Acting Head of MMA Colonel Prof. Dr Zoran Segrt welcomed the Belarus delegation and said that the potential of cooperation is huge and that such a meeting is the opportunity to create concrete suggestions for the bilateral military cooperation plans in the field of healthcare. Colonel Stanislavovic conveyed that Belarus has appreciated very much friendly relations in the framework of the cooperation that is running and that they are especially interested in the experience exchange regarding the organization of healthcare protection, functioning of teaching and training at the MMA Faculty of Medicine as well as in the cooperation within the scientific research activities. Two representatives are planned for the next year to participate in the program of the Training Centre for the MMA medical staff. During the meeting, talks encompassed the wide spectrum of topics from the experience in the light field hospital engagement, participation of medical teams in peacekeeping missions, the Military Medical Review to the Military Medical Faculty that has existed for already 20 years in Belarus. The interest for possible knowledge exchange and cadets between the two academic institutions was expressed. The Belarus delegation toured the MMA and was acquainted with the capacities of various activities, primarily in the field of treatment.